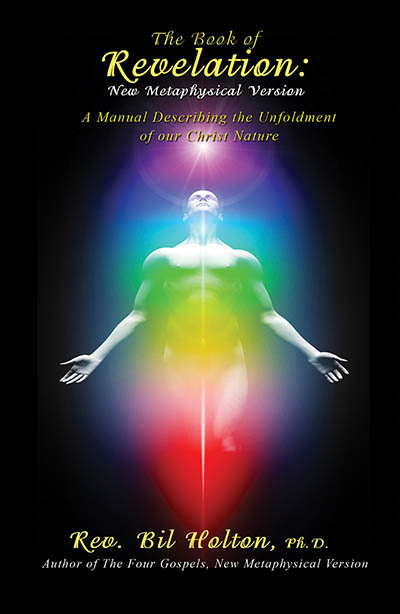 A Manual Describing the Unfoldment of our Christ Nature If you are ready to move bend the literal doomsday interpretation of Revelation, and view it from a totally spiritual perspective, this is the book for you! Author Rev. Bil Holton explodes the traditional views of Revelation and offers a verse-by-verse interpretation revealing hidden wisdom that describes a practical process for the unfoldment of our Divine Christ Nature. This book is both Divinely inspired and thoroughly researched, including over 100 pages of End Notes. $19.95 Available in digital (PDF) format and soft cover book. Bookstore discounts available.